Does Weil do anything to proactively maintain their culture? I think that we work at it quite hard actually. I remember the head of our firm came [to Hong Kong] and he had a meeting with our associates. One of the associates told me she was really impressed because the first thing he said was that we have a culture of compassion. We don’t tolerate people who are abusive; we don’t tolerate people who don’t show respect. Why should you have a workplace that doesn’t show respect for other people? This is a very stressful job because there are so many demands placed on you. You can’t take your frustrations out on other people here. I think that by having a culture that is inclusive and fair, it promotes a better work environment. And if you have a better work environment, you have happier people. And if you have happier people, you have better productivity and better quality of work. What has been the greatest challenge setting up an office in Hong Kong? The greatest challenge is really finding the right people with the right experience. It’s hard to find good lawyers in this market. We don’t hire law students or fresh graduates in Hong Kong because we are not in the position to offer a comprehensive training contract right now. We will offer training contracts once we have a full-service firm in Hong Kong. 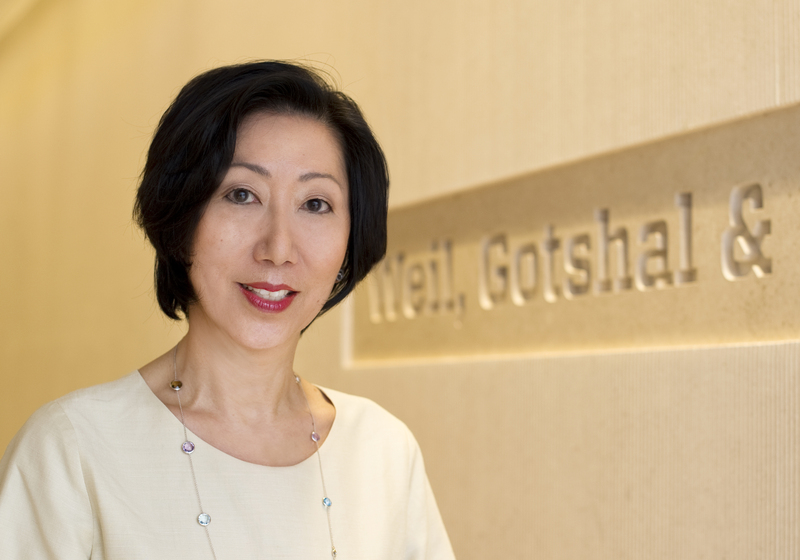 Is Weil considering moving into other practice areas in Hong Kong? We would like to get into the capital markets area, but it must be at the right time and with the right people. You can’t just bring in someone who has been doing IPOs in the US and have them pick up Hong Kong IPOs. You have to understand the Stock Exchange – not only the rules, but the practice, what the hot issues are, how issues are resolved, the mentality of the Stock Exchange, having relationships with the Stock Exchange…. This is such a people-driven business. It’s not like you are manufacturing the latest mobile phone. It’s all about legal talent. So if we find the right group we definitely will expand into capital markets and arbitration. How important is it to your firm test language skills? We test English skills. If you are hiring a lawyer from China you don’t need to worry about their Mandarin skills, you need to worry about their English skills. There are very few people who can do both perfectly, both written and spoken. So you need to do at least one perfectly. If your Chinese skills are not great, you had better have perfect English abilities. We can’t give [our clients] a work product that is not perfect. That is not acceptable. How can someone applying to Weil make their application stand out? First of all, never have any typos on your résumé. Never. You had better read it backwards and forwards fifty times before you send it out. It doesn’t matter how brilliant you are, if your résumé has typos it goes right into the trash bin. [This is because] lawyers are paid to worry and think five steps ahead. The other component of this is that you have to be really really careful, so your résumé should at least reflect that. Then you just look at the obvious things, like how well did you do in school, what is the whole person about. It’s sort of hard to tell from a résumé, but you try to look for résumés that give a picture of the whole person. Do some research about the law firms before you randomly send emails to a hundred law firms, because we can tell if the name of the firm has just been changed. Oftentimes, they misspell the firm’s name or I’m [addressed as] a mister. In other words, you need to be a little more professional. You’re asking for a position that is a very important position and you are asking the recipient of your request to take the time to consider your application. So do your research, have no typos, and figure out whether the person you are writing to is a man or a woman. Write something that is personal to you. [For example,] you are interested in applying for a litigation position because you’ve been reading about recent scandals and that’s peaked your interest. But you have to personalise it. You’re not just applying for some clerical position. You have to sell yourself, so you have to do some research and put time and energy into this.